Ms. Joseph advises health systems, academic medical centers, teaching hospitals, and a wide variety of other health care providers on business and regulatory matters. A significant portion of her practice is focused on fraud and abuse compliance, including counseling on compliance with federal and state anti-kickback and self-referral laws, and serving as lead deal counsel or regulatory counsel on mergers, acquisitions, and other strategic affiliations. In addition, Ms. Joseph frequently counsels both providers and health information technology companies in the digital health space, including compliance and reimbursement issues related to telehealth. Ms. Joseph regularly works closely with health system and hospital compliance departments to advise prospectively on protocols and best practices as well as to assist with internal investigations, and has received a certification in healthcare research compliance (CHRC). Ms. Joseph co-chairs the firm’s Academic Medical Center/Teaching Hospital Working Group and is a member of the firm’s Fraud & Abuse Practice Group. 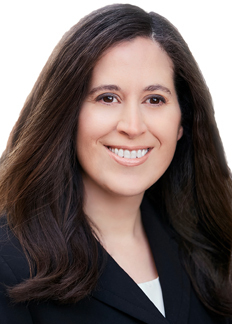 Ms. Joseph is co-author of AHLA’s The Stark Law: Comprehensive Analysis and Practical Guide, Sixth Edition, and co-author of a chapter of AHLA’s Best Practices Handbook for Advising Clients on Fraud and Abuse Issues, and regularly presents and writes on these topics. Ms. Joseph served as one of the original members on the Women’s Leadership Council of the American Health Lawyers Association, and was selected to participate in the Women’s Bar Association of Massachusetts’ 2017-2018 Women’s Leadership Initiative. Ms. Joseph also served as a Teaching Associate for the Legal Environment of Health Services Management course at UCLA Fielding School of Public Health, Department of Health Policy and Management in 2015 and 2016. She is currently a member of the AHLA Fraud and Abuse Practice Group Leadership Development Program. Ms. Joseph received her J.D. from UCLA School of Law in 2011, where she graduated first in her class and was elected to the Order of the Coif. While in law school, Ms. Joseph spent a semester interning at the Health Care Division of the Federal Trade Commission, Bureau of Competition. Ms. Joseph was admitted to the California Bar in 2011 and the Massachusetts Bar in 2016. Prior to practicing law, Ms. Joseph served in the United States Air Force. Thinking About Not Reporting That Minor Breach? Think Again.